First map I have ever made. Loved Thorns from way back and was inspired by it. Still working on it as I learn the editor. Scaling is too big and some textures didn't make it into last cooked version for some reason. Thinking about adding a top level that has tighter corridors but I had liked thorns due to its "openness" . New to this, but enjoying it. I've made a version of this map for UT games and this is it for the current game. Took a while to complete but finally done. 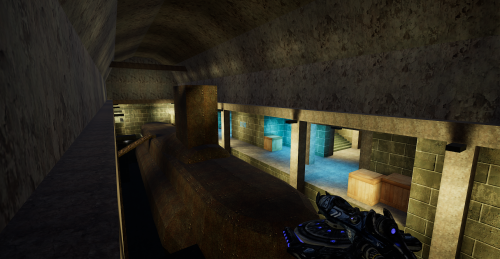 Remake of Joe Wilcox's UT2004 Map CTF-1on1-Joust. Like in the Original, Players will spawn in the opponent's base. Straight classical port of CTF-November from original Unreal Tournament (UT99) using HD textures. This is a WIP version. Hey everyone! I finally finished CTF-Core. I hope everyone enjoys the map and has fun. Once again feedback is appreciated and there might still be some minor bugs. I am also working on fixing the minimap ASAP. Thanks again for the support of the UT4 community! 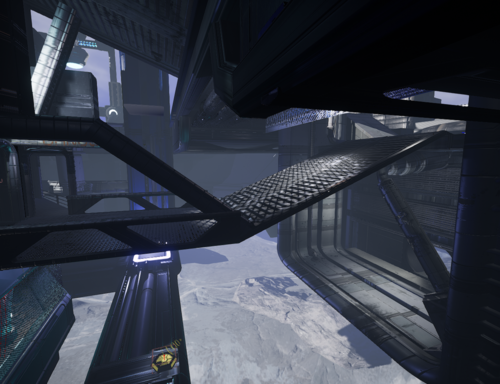 CTF-Core is my first Unreal Tournament map that I am working on. I spent some time working on the design of the map and now I am looking for players to help me playtest the map. So far I have the map meshed out on a different file and I am working on the lighting. The map will be going through various changes as I want to try my best to perfect this map. Any feedback at all would be appreciated. Thanks for taking the time to check out my map everyone!! 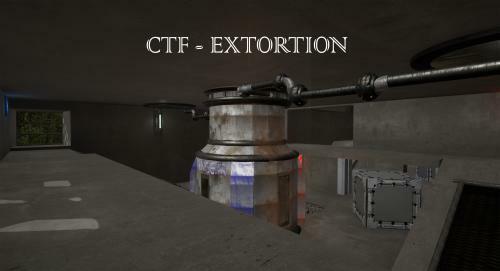 Remake of the Instagib-CTF Map Extortion. This astoroid mining platform is currently stationed to mine asteriods in the belt of the planet EA-P9605. Valuable resources are collected for the Liandri Mining Corporation and serves as a battleground to maximialize profit gained from this station. The map features very low gravity (0.25 gravity) outside and normal gravity inside the bases. There is a trap in the middle of the map (at the Udamage) which has been made in Blueprint. Shoot the button and try to trap & kill someone inside. There are also team based doors, which only open for a certain team. The map also has a rotating skybox! A friend and I began to August 2015 a Grendelkeep to build. Here is the latest version. 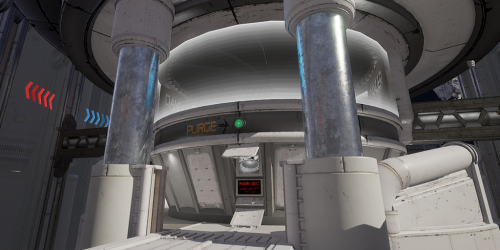 This is my very first level for the Pre-Alpha of Unreal Tournament (4). Let me start off by saying this whole general process of Unreal level designing, uploading, distributing etc. is all very new to me, as I have only been using the Unreal Engine 4 for about 3-4 months, and there's bound to be some design errors and rookie mistakes for a while until I get the hang of it all. With that being said, here's Version 1 for CTF-Summit! An ambitious project for my first map, It's a rather large capture-the-flag level set in an aerial base over a frozen landscape. There are numerous ways to navigate up and down the level, and powerups are focused in the gas chamber at the central map, and two elevated platforms on the level's outskirts. Due to it's visuals (and large size) it might be a little rough on lower-end PCs, which is one of the reasons I want this tested. Bots might be inconsistent with their pathing as well. 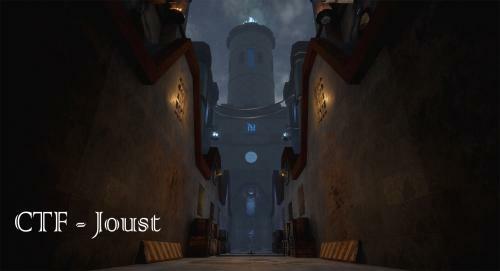 For me this is my entry into the level designing community of Unreal Tournament 4, and I would really like to present some standout levels, which means I need some critical feedback and honest opinions on my works (Don't be afraid to nitpick! Everything from the general map flow and bugs, to the lighting consistency, to the architecture such as pipe/floor trim placement can use criticism, and I would appreciate it if you don't hold back). I hope you enjoy, and let me know what you think. 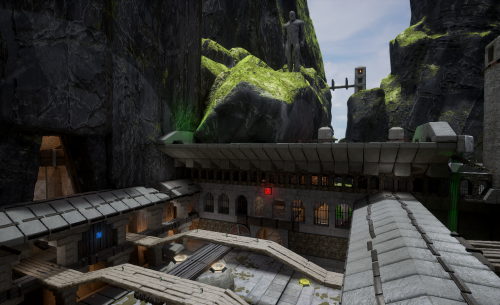 This is my first map in Unreal Tournament and in the Unreal Engine. I chose a CTF map because this is one of the modes I like the most, simply. Apart from the obvious lack of decent art (I am a junior level designer, first and foremost! ), there are surely many ways to improve the map. I would like to get some input on it. Please do not hesitate to criticize this map, I need the feedback! 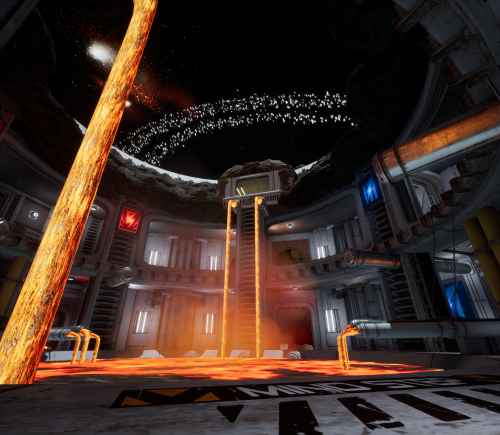 The level is an abandoned nuclear plant set on an asteroid. A nuclear breakdown caused most surviving scientists to leave the place, although the high-potential minerals on the asteroid remain untapped. 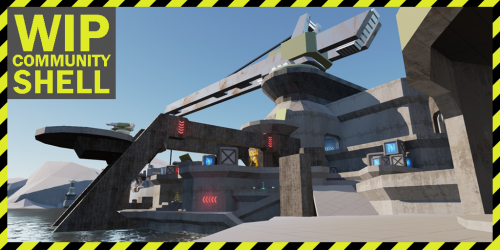 Set on a oil platform, Divide is a symmetrical CTF-map (6-10 players) that not only rewards precision shooting but also strategic thinking. 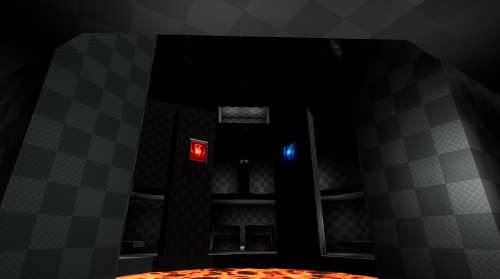 The map is repackaged (2014-04-02) to work with the newest version of UT. 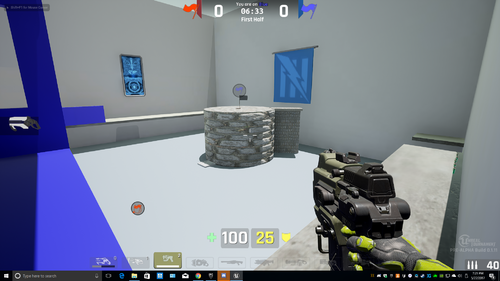 Forgeworks is a CTF map ideally suited for 8-12 players. It’s simple layout and straightforward design makes it ideally suited for newcomers and pros alike. Based on a design by Erik “Sabot” Franzén. Killscreen is a CTF level for 6-12 players. It has a large central area built for long-ranged weapons and smaller defense areas for more close combat. A capture the flag map set in a castle in the sky with a great glass wall protecting one side from the other. CTF-Omega13 is a capture the flag level for 6-10 players located on a space station inside a massive rock in outer space. In the middle of the map there is an open section where the space station goes out into space. This section has jump pads going across from base to base with low gravity in the middle, bringing some risk for those choosing to take the “quick and easy way”. There is an alternate corridor going across which takes longer but has a Sniper Rifle pickup in the middle and an open area overlooking the entire middle section. The entrance to each base has a choke point coming from the middle and then splitting up into multiple paths all ending up in the flag room, where the flag is waiting on a small platform in the air. Planetarium is a fast paced and jumppad-heavy capture the flag map set in space, where controlling the middle section is the key to success. It consists of the middle section with two floors and alot of jumppads. Two bases with two floors each. There are also four paths connecting to each base, two between the lower middle floor and two between the upper middle floor. A map made for 6 to 10 players. Flag rooms are connected with a window in-between to make camping the flag harder.